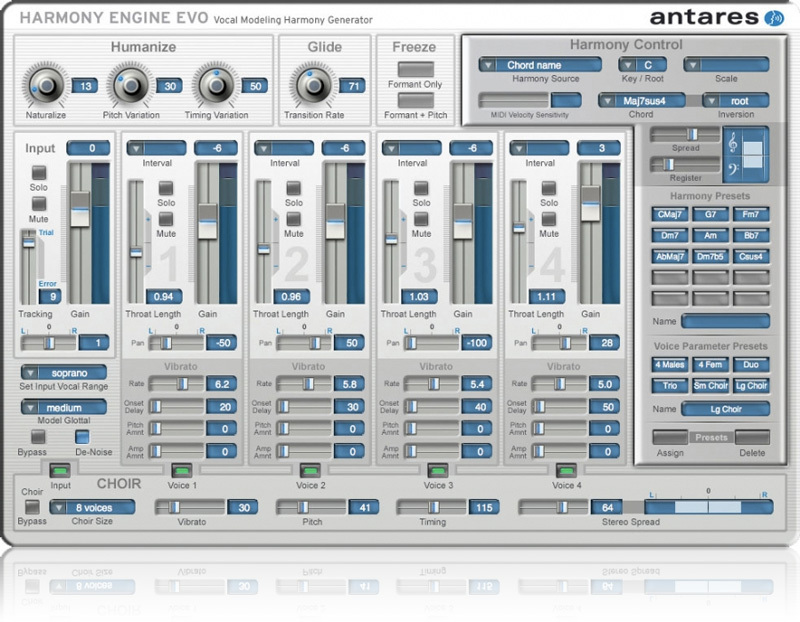 Whether you’re an experienced vocal arranger, a songwriter looking for that perfect backup vocal, or a composer experimenting with unique vocal effects, Harmony Engine Evo gives you entirely new ways to create the harmony parts you hear in your head. 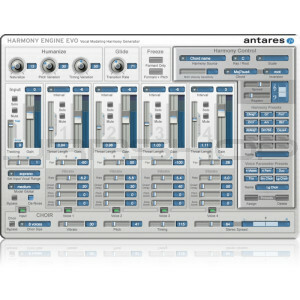 Harmony Engine Evo incorporates Antares' groundbreaking Evo™ Voice Processing Technology for faster, more accurate pitch detection, smoother, artifact-free pitch shifting, and seamless, natural-sounding (if you want it to be) throat modeling. 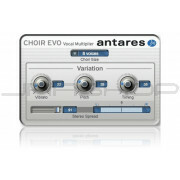 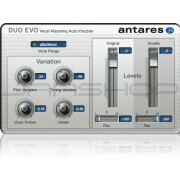 And with 5 channels of Antares' uniqueCHOIR Vocal Multiplier, you can create huge vocal ensembles out of a single vocal line. 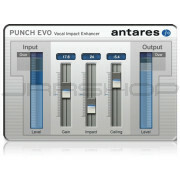 Antares' groundbreaking Evo™ Voice Processing Technology for faster, more accurate pitch detection and smoother, artifact-free pitch shifting. 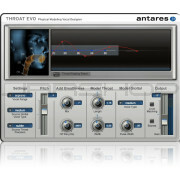 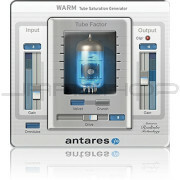 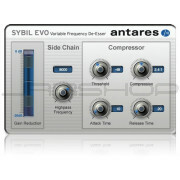 VST A certified compatible VST host program that supports the VST3 format.